Rarely available two bedroom plus den Penthouse Suite at the Art Condos! Approximately 1124 square feet with north-west urban sunset views from the balcony. There’s a large terrace with a gas line for your BBQ, water, and electricity. The richly-styled Scavalini kitchen leads to an open concept living room with wrap-around floor to ceiling windows. The luxurious master bedroom has a walk-in closet and ensuite bath. The second bedroom also has a private ensuite! 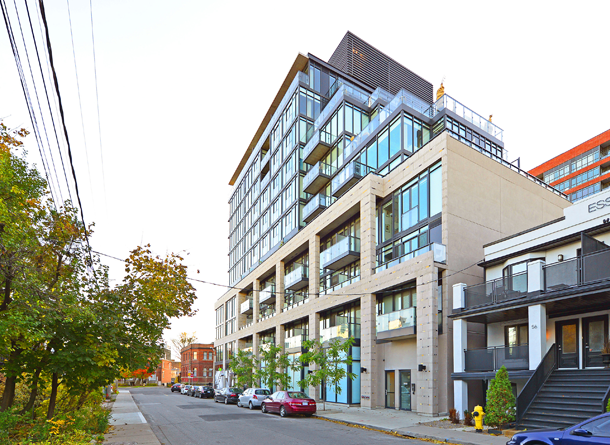 This building is in the heart of Queen West and steps to some of Toronto’s best restaurants, bars and parks.